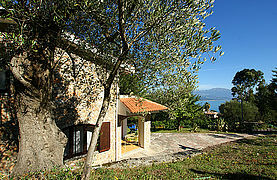 Holiday home Villa Lentini in Scario is situated on a more than 3.000 sqm property. 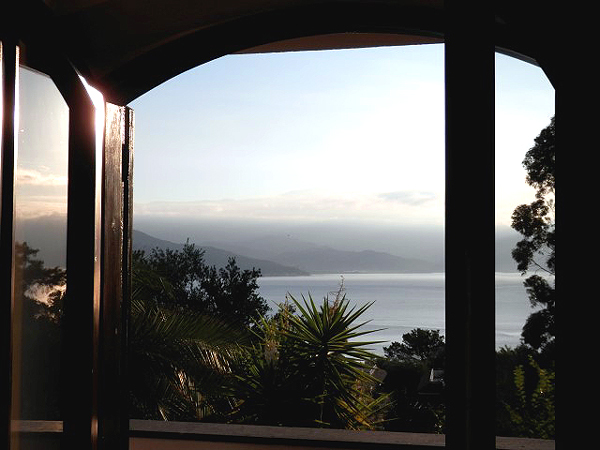 Here, in the exclusive residential area of Marcaneto, somewhat above the town center of Scario, you are surrounded by pure nature. 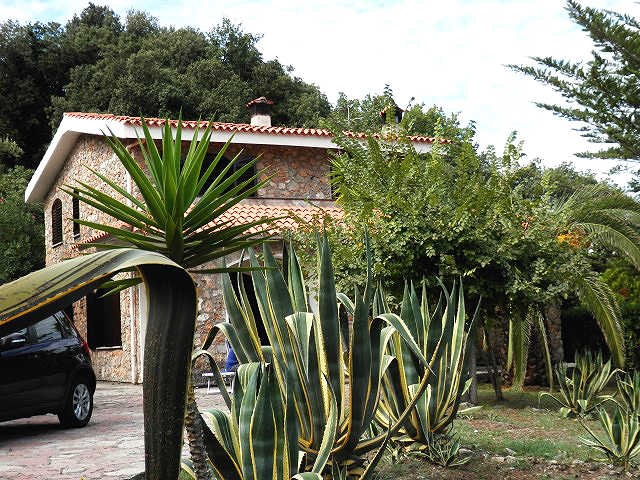 Ample lawns, gnarled olive trees and the typically Mediterranean cactuses make for the Mediterranean flair of the terraced garden. 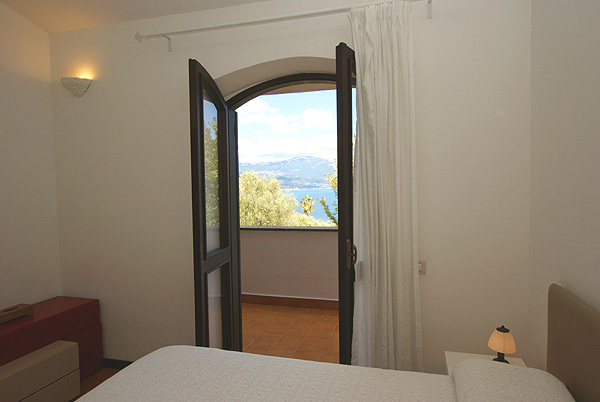 From here you enjoy a beautiful view upon the Gulf of Policastro and of the Basilicata and Calabria mountains beyond. 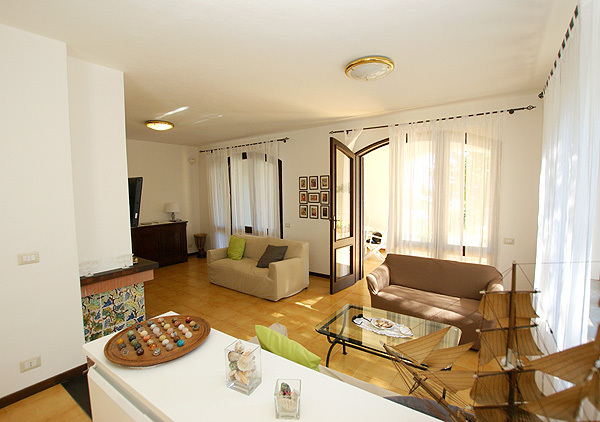 Your holiday home in Scario is only ca. 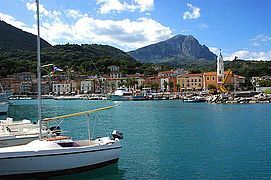 600 m from the sea, the nearest beach (shingle) and the center of the contemplative fishing village with its small stores, café bars and restaurants. Your ca. 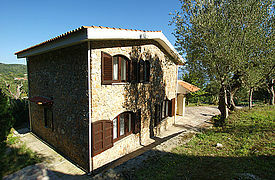 120 sqm holiday home is a well-tended, two-storey rustico with a lovely stone façade. High ceilings make for an airy atmosphere in the rooms. 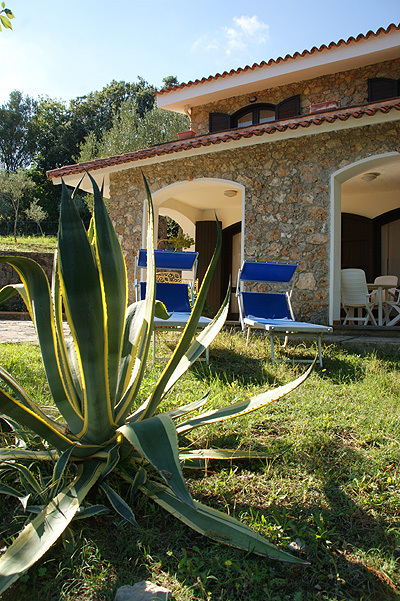 Two terraces, one on the ground floor and one on the first floor, invite you to spend your holidays out-of-doors. The ca. 30 sqm roofed terrace on the ground floor is the ideal place for outdoor meals and for spending mild summer evenings together out in the open. Why not even give it a try and bake a “pizza fatta in casa” baked in the brick oven? The terrace on the first floor might be just the right place to indulge in your holiday read for a while. 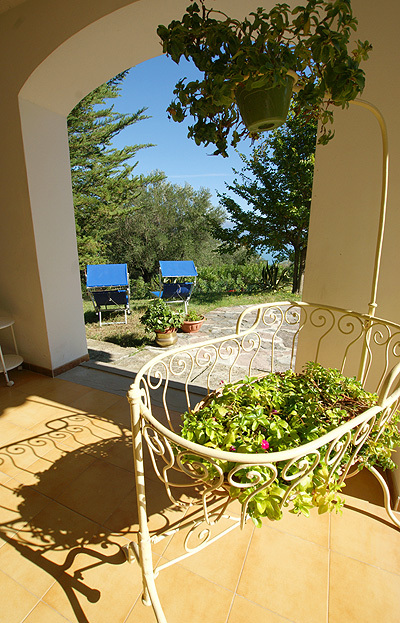 And, in between, you can let your gaze roam across the lush green of the garden towards the sea from there. There are altogether four bedrooms on the first floor: three doubles and one single. From two of the double rooms you have got access of the terrace on the first floor. 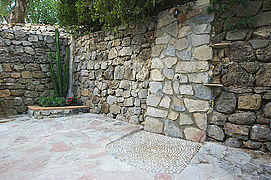 Both bathrooms of the villa are equipped with shower and WC. 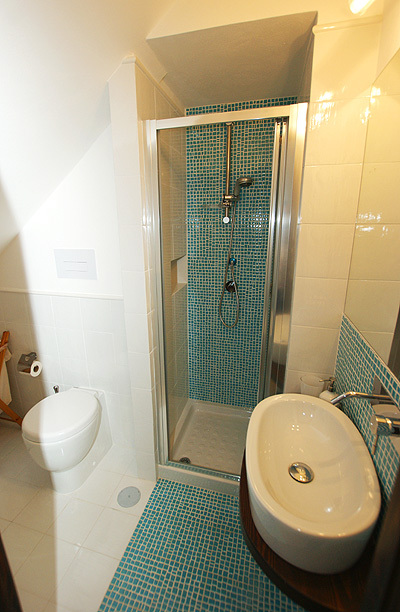 The upper floor bathroom is also furnished with a bidet; the washing machine is in the ground floor bathroom. Not only the bedrooms are bright and friendly. The spacious, ca. 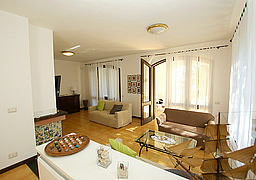 35 sqm living/dining room (with TV) is very bright, too, due to its large windows. The fireside provides for a cozy atmosphere; a step, an unobtrusive 'room-divider', 'separates' the dining from the living area. 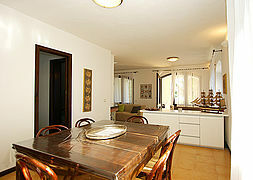 From the separate eat-in kitchen you have got access of the dining room and the outdoor area. 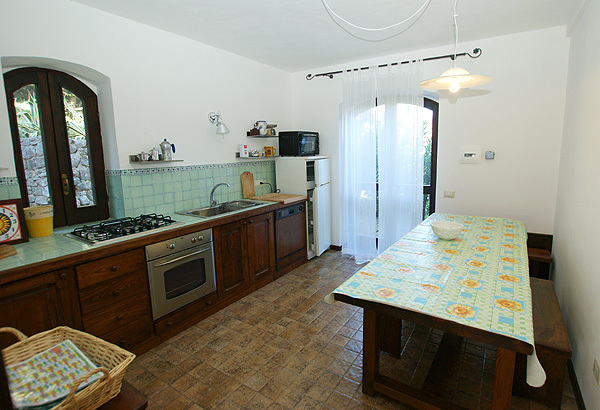 The built-in kitchen made of solid wood offers everything you need to prepare typically local specialties, which you can then savor together at the dining table. The dishwasher is a great help after a delicious meal. Parking is available on the fenced property. Our tip: While staying at Villa Lentini, do not miss out on exploring the Infreschi maritime wildlife park, which borders the fishing village. Locals will be happy to take you to one of the many hidden bathing bays by boat – a special experience for your entire family. 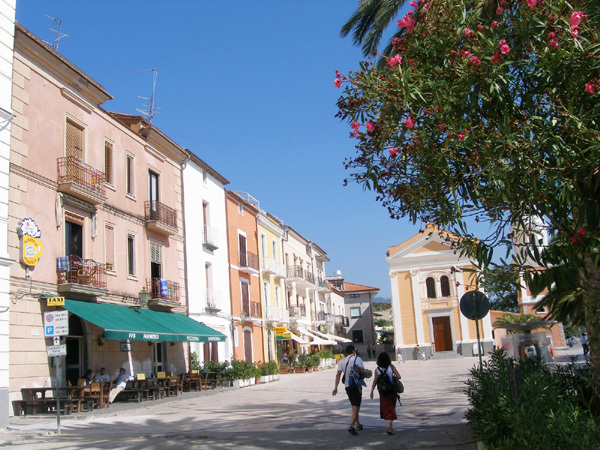 Nearest train stations: Policastro Bussentino or Sapri. Tasteful stone façade – Villa Lentini. 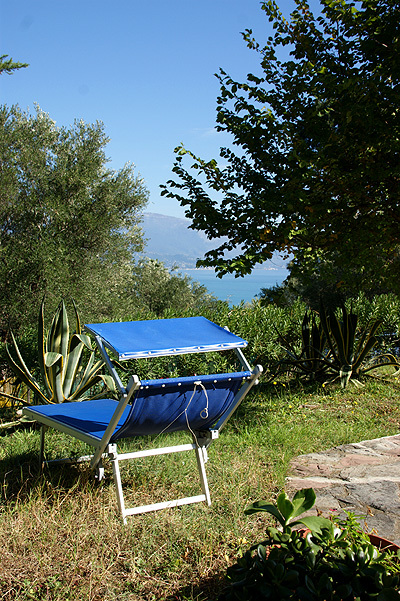 From the garden of your holiday home in Scario you have got a beautiful view upon the Gulf of Policastro. Holiday feeling: enjoy mild evenings on the roofed terrace. 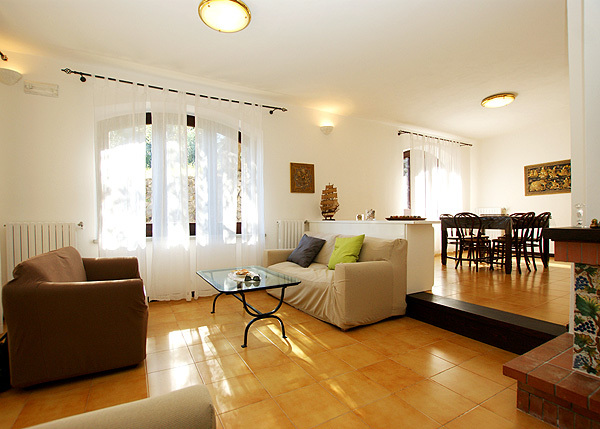 The spacious living/dining room: airy and bright due to the high ceilings and the many windows. On the upper floor terrace. The solid wooden built-in kitchen offers everything you need to prepare your holiday dishes. Bedroom with sea view -simply great. 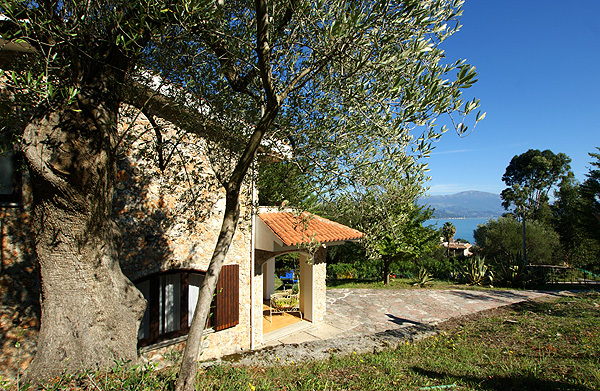 Rear view of Villa Lentini. 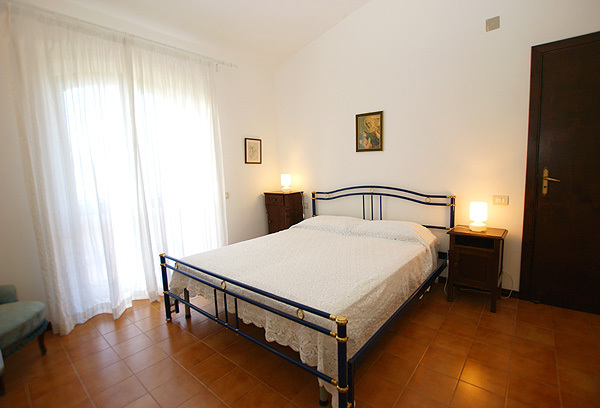 At Villa Lentini, there are altogehter four bright and friendly bedrooms. Here one of the double rooms. 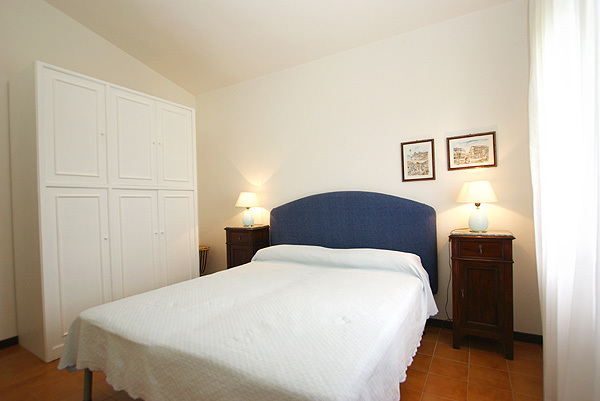 All the bedrooms are furnished with large wardrobes. 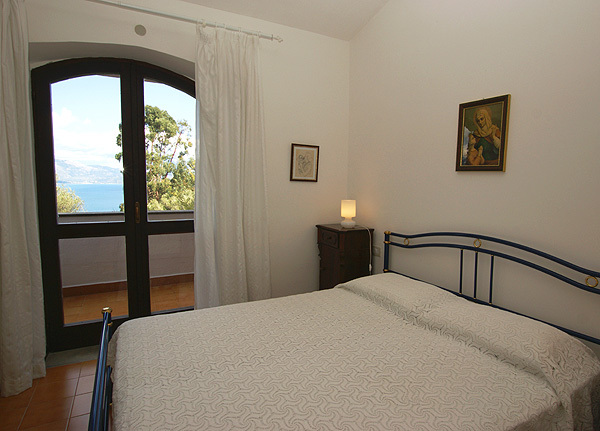 The somewhat smaller, third double bedroom opens unto the sea view balcony, too. 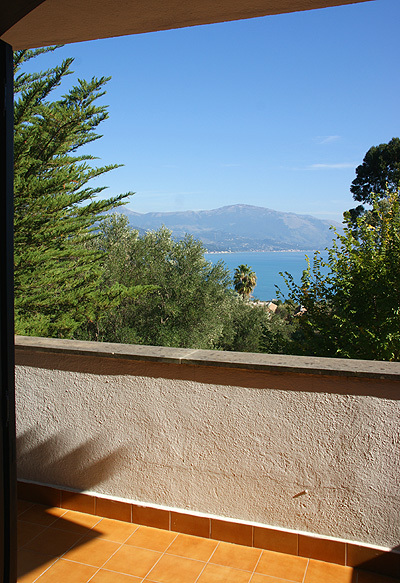 View of the Gulf of Policastro in the morning. View from your bedroom window. 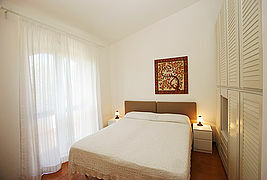 Glance into the single bedroom. 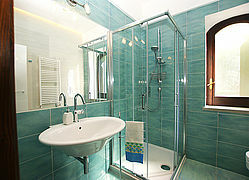 Bathroom with shower cabin on the ground floor. The larger bathroom is on the upper floor. 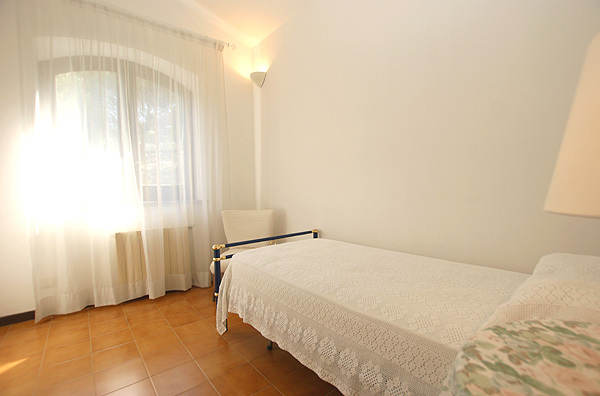 A spot where you can relax and feel at ease. 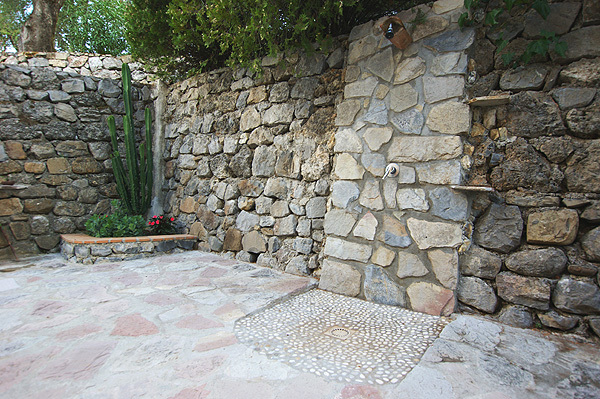 The outdoor shower behind the house. 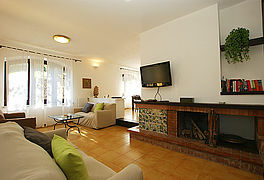 ... a nice place for leisurely strolls. Die Küste südlich von Scario sowie der Ort San Giovanni a Piro haben uns besonders begeistert. 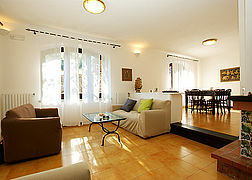 In der Villa Lentini fanden wir vor allem die Aufteilung der Zimmer und die Einrichtung sowie die gut ausgestattete Küche und die überdachte Terrasse toll. Die Organisation über Cilentano war wie immer sehr gut. Jederzeit nochmal! Unser Aufenthalt in Scario war sehr schön. 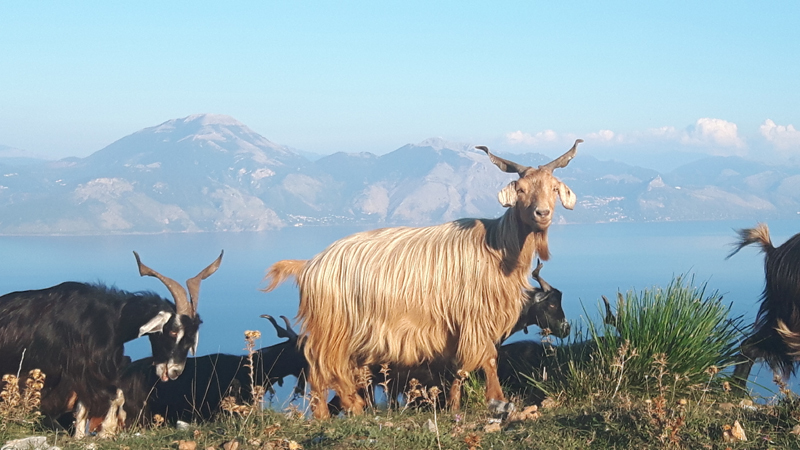 Besonders gut gefallen haben uns der Golfo di Policastro sowie die dazugehörige Küste mit den einsamen Buchten. Toll war auch die Lage der Villa mit Blick auf das Meer und das Haus selbst. Sehr empfehlenswert sind die täglichen Bootsfahrten in die einsamen Buchten. Mit der Anfahrtsbeschreibung sind wir gut klar gekommen und der Kontakt mit Frau Tripari war problemlos. Ich kenne die Region nun bereits seit circa 30 Jahren und wir werden sicherlich noch des Öfteren einen Urlaub hier verbringen. Durch die wunderbare Natur und weil bisher nur wenige Touristen in den Cilento kommen, findet man dort noch ein total authentisches Italien vor! Unser Ferienhaus war wirklich schön, sehr sauber und gut ausgestattet. Die Lage ist super und der Garten sehr angenehm. Toll war auch der hauseigene Pizzaofen. Das Highlight unseres Urlaubs war definitiv die Besteigung des Monte Bulgheria, von dem aus man eine unvergleichliche Aussicht hat. Wir kommen auf jeden Fall gerne wieder! 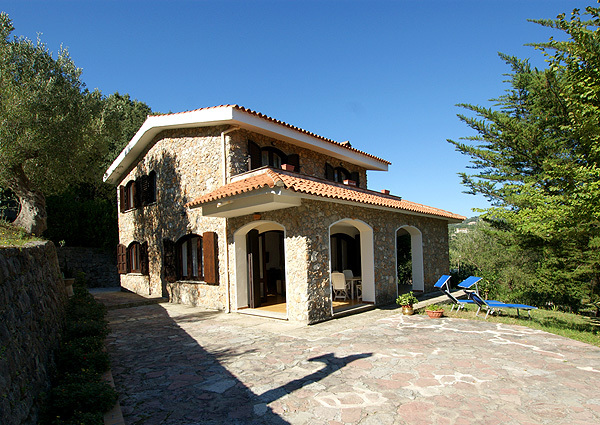 Die Villa Lentini ist ein schönes, sehr geräumiges Ferienhaus! 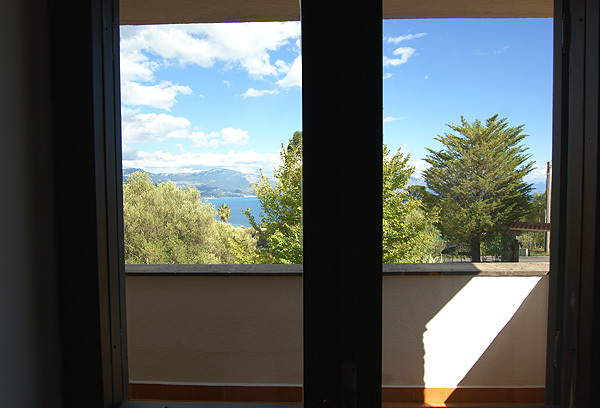 Mit der wunderbaren Lage, dem herrlichen Ausblick und der vorbildlichen Sauberkeit waren wir sehr zufrieden. Sogar die Matratzen waren perfekt - das ist in Italien ja für nordeuropäische Geschmäcker nicht immer der Fall. Sehr gut! 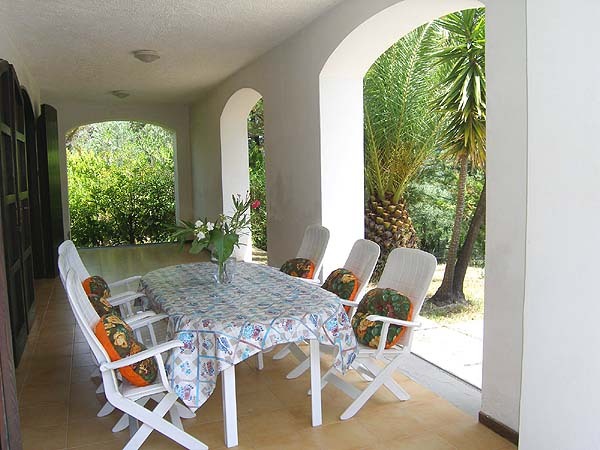 Prices are valid per week and for the number of persons given in brackets and incl. 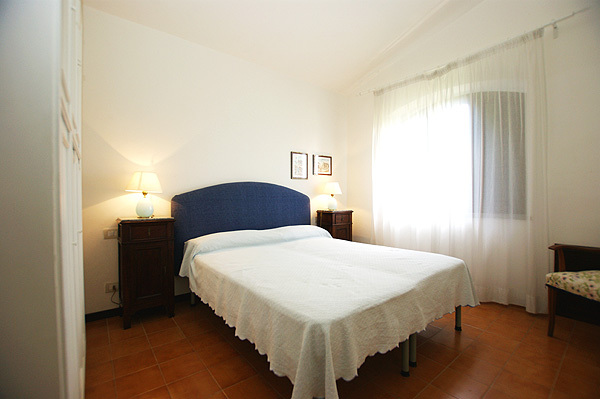 bed linens, towels and final cleaning. Surcharge for the 7th person: 55 Euro/ week.